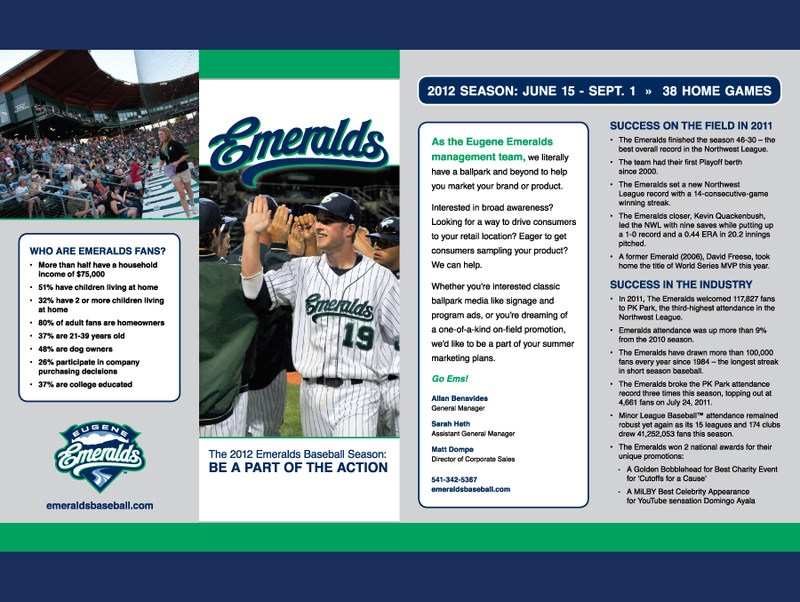 The Eugene Emeralds needed to find a way to refresh their brand and encourage fans to come out and share in the fun. 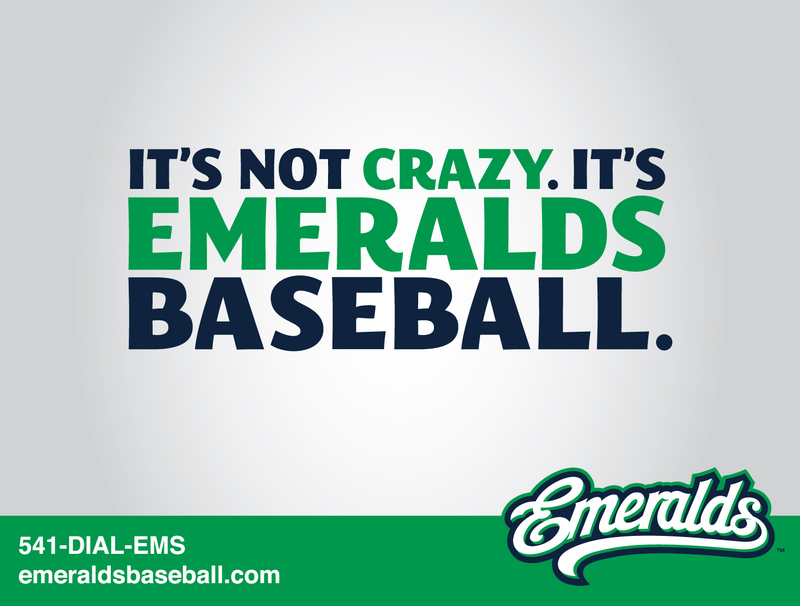 There are many reasons to go to Emeralds baseball games, and for most fans, the game of baseball itself isn’t #1 on the list. They go because they enjoy the entire experience: the warm summer evenings, the hot dogs and beer, the antics of the mascot, the crazy on-field promotions, and a family-friendly place to hang out with friends. Our “Why are you a fan?” played on this insight. The campaign that followed built on the earlier campaign, focusing on the “craziness” in the ballpark.